All ROYAL SAXON homes currently listed for sale in Palm Beach as of 04/26/2019 are shown below. You can change the search criteria at any time by pressing the 'Change Search' button below. 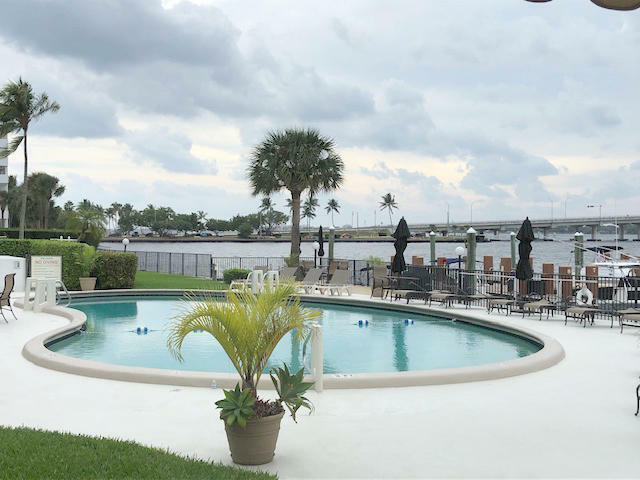 "Welcome to the beautiful community of Royal Saxon located on prestigious Palm Beach Island, perfectly situated between the Intracoastal and the Ocean! This 1 bed/1 bath coop with private balcony, overlooking a beautiful garden view, is located directly across the street from the stunning Four Seasons Hotel and minutes away from downtown historic Lake Worth, the world-famous Worth Avenue, shopping, restaurants, golf courses, museums, clubs, art galleries, the airport and more! 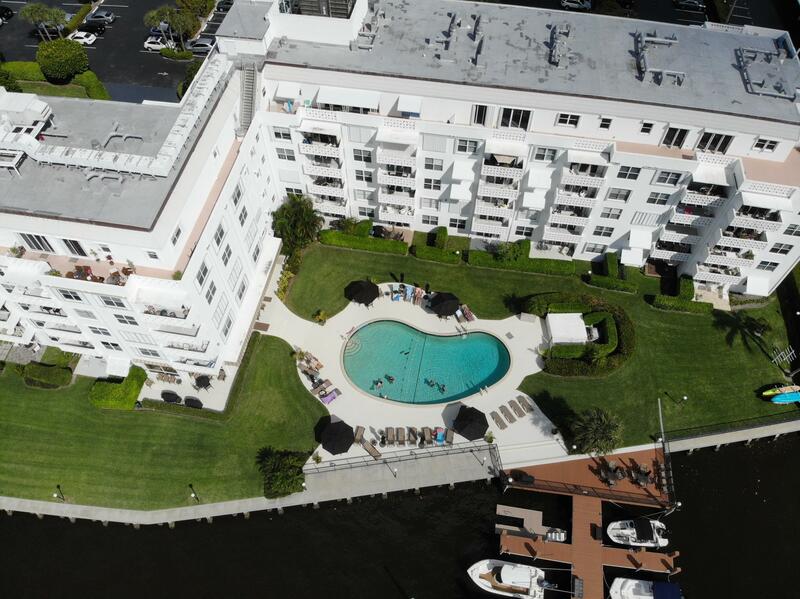 Royal Saxon is an ''all ages'' community offering Intracoastal waterfront views, a heated salt water pool, fitness room, social room, 24-hour doorman, dock (boat slips available for rent), on-site manager, elevators and laundry rooms. Make this your new home and enjoy the luxurious south Florida lifestyle every day!" "Exclusive Palm Beach living at the prestigious Royal Saxon with 24/7 doorman. This 4th floor Co-op, furnished 1BR/1BA unit is light and bright and very well-maintained. The living room opens to a lovely balcony to enjoy luscious ocean breezes and an ocean peek in the distance. The kitchen offers newer appliances as well as a good-sized eat at counter area. Bedroom & bathroom feature ample lighting & mirrors. The home is carpeted throughout for quiet comfort. The Royal Saxon offers a gorgeous heated pool overlooking the ICW, beach access, social room and new fitness room. A short walk to the Lake Worth Pier. The walls have stories to tell since the home was previously owned by a famous movie producer and currently by the Baroness des Rosiers - come enjoy the Palm Beach lifestyle at its best"
"Spacious, 1/1 price right to make it your own, with plantation shutters,tile counters on kitchen,accordion hurricane shutters on sliding door. 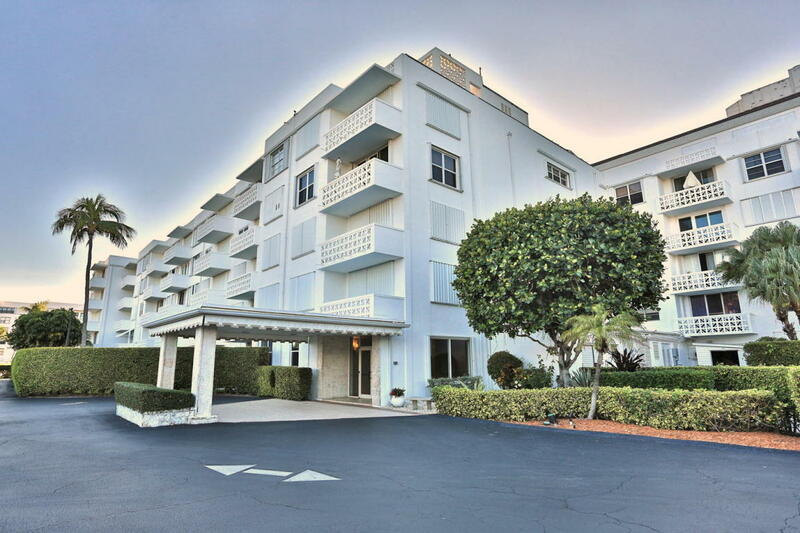 the building directly on the inter coastal,24 hour doorman, gorgeous social room,newly renovated gym and heated pool and across the street from the beach ,look no further."